We just installed (5) 16” diameter augercast piles x 35’ to perform a load test. 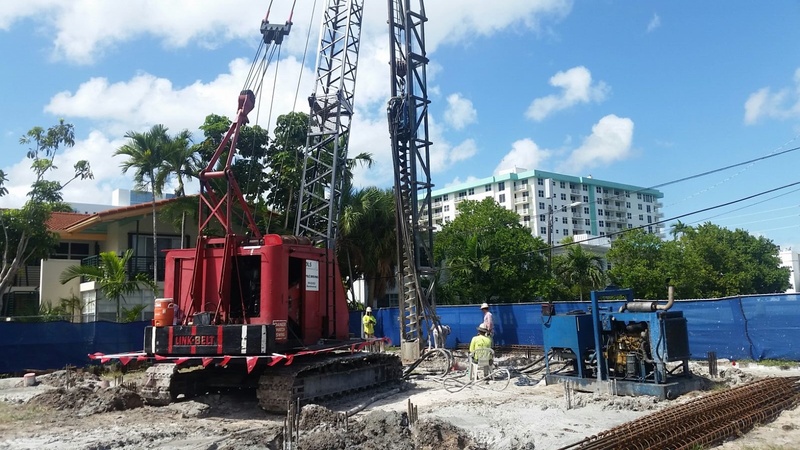 Eventually, we will be installing approximately (40) piles for production. 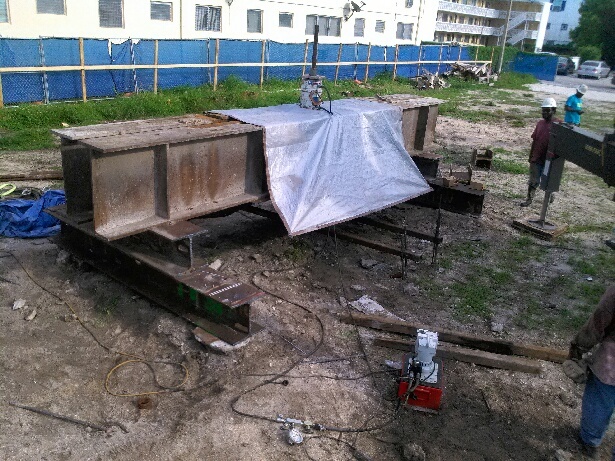 Our company is part of the Pompano Beach Pier restoration project. 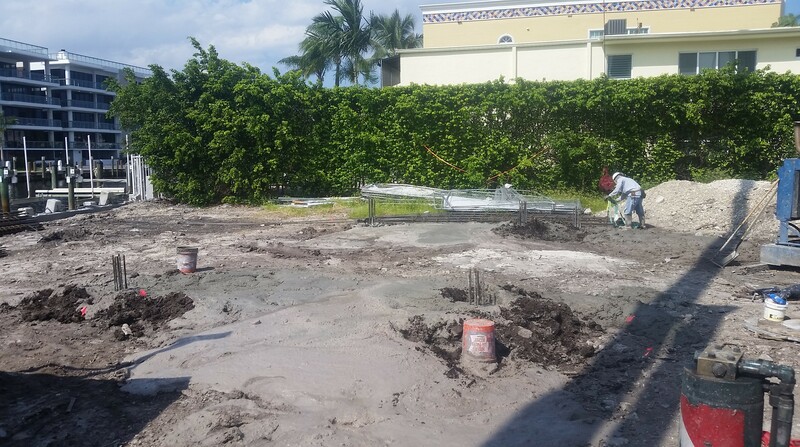 We have posted twice on the progress of a particular project on Miami Beach. Once on 6/23/16 and once on 8/14/16. This picture is the next step in the development of the building. In this picture you can see they are forming around our augercast piles in the pile caps and grade beams. They will then be pouring concrete in these forms to assist in the foundation portion of the project. Our steel sheeting remains in place for the time being until portions of the walls are formed and poured. At that time most of the sheet piling will be extracted. This picture is part of a previous project on Miami Beach. Several months ago, we were on site performing a load test. This project consisted of steel sheeting, augercast piling and tremie seal. This picture is for (27) augercast piles installed within the sheeting cofferdam that will hold the tremie seal. These pictures were taken at our job site in Bay Harbor. We performed a load test before installing 277 auger cast piles. Prior to that, we installed 600 linear feet of sheet piling around the perimeter of the property. 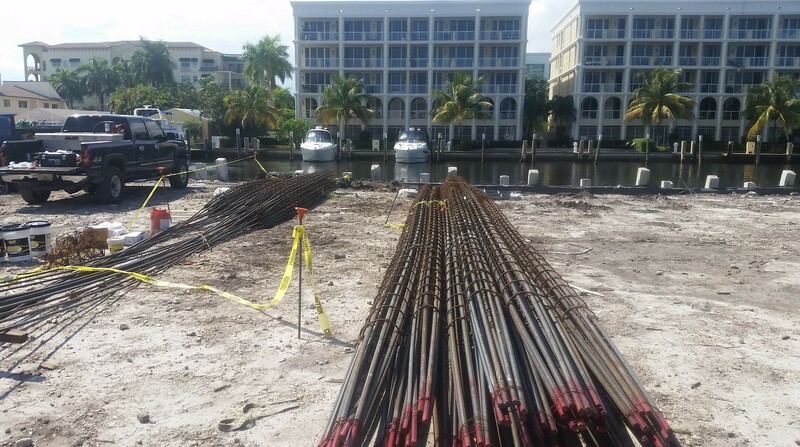 We are in the middle of this 252 Auger Pile job for a condo project off Las Olas Boulevard in Fort Lauderdale! Several weeks ago, we wrapped up 3 load tests for this project, including compression, tension and lateral. Each pile is 16″ in diameter and 46′ deep. Got Steel?! Here is just some of the steel we are using on this job. Overview of job site with some piles in place with steel set within the piles. This is what a load test looks like! This 100 ton load test was being performed for an augercast piling job for a new condo project.